Soon after the discovery of the ozone hole over Antarctica in the 1980s, the question arose if similar ozone depletion was also to be expected for the Arctic. While stratospheric ozone depletion is indeed observed in the Arctic, it occurs to a much lesser extent due to the more important role of atmospheric dynamics in the Northern hemisphere. During regular measurement campaigns, an international network of stations is brought together to coordinate ozone sonde launches, trace air parcels and detect their ozone content several times along their trajectory through the Arctic stratosphere. This method allowed to verify Arctic chemical ozone depletion and its causes. At the AWIPEV research base, an ozone sonde is launche regularly once per week to measure the vertical ozone distribution. During the polar night, the frequency is increased to two sondes per week, with even higher numbers during special campaign periods. 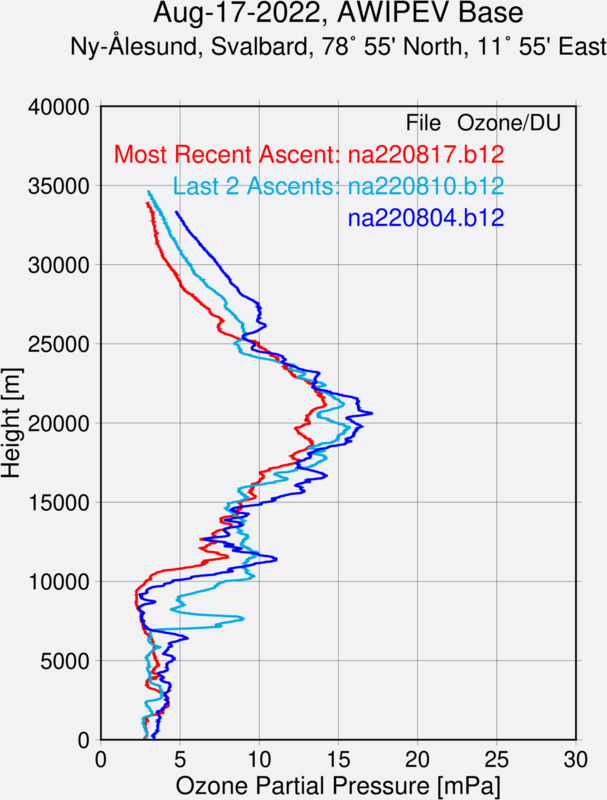 Also at the Antarctic Neumayer station, ozone sondes are launched regularly. 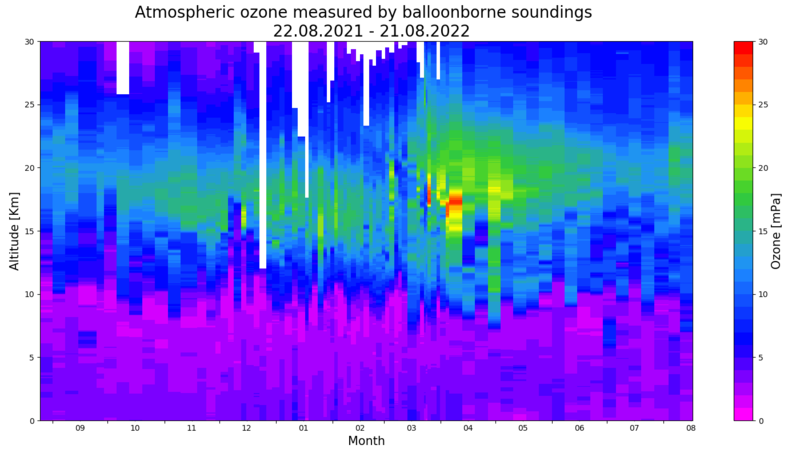 The ozone sonde data are provided to the World Ozone and Ultraviolet Radiation Data Centre (WOUDC), to the Network for the Detection of Atmospheric Composition Changes (NDACC) and the World Meteorological Organization (WMO).